Kids born only a decade ago have far more tech prowess than their parents. This false sense of technical skill leads many kids to infect their parent’s home computers and devices with malicious software. Unless the parent has a job in a tech field, their children’s understanding of technology far exceeds their own. This can be dangerous in many ways. 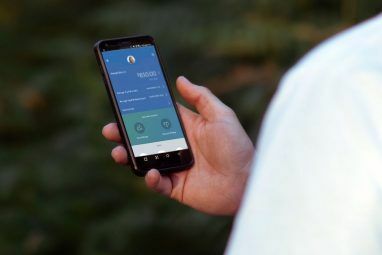 Many parents might know enough to install parental monitoring software The Complete Guide to Parental Controls The Complete Guide to Parental Controls The world of internet-connected devices can be terrifying for parents. If you have young children, we've got you covered. Here's everything you need to know about setting up and using parental controls. Read More on computers or mobile devices that kids use. Unfortunately, doing so is not usually effective, since anyone with a rudimentary knowledge of basic hacking tools can bypass parental monitoring software 7 Ways Your Children Might Bypass Parental Control Software 7 Ways Your Children Might Bypass Parental Control Software Just because you've installed a safety net in parental control software doesn't mean your children won't find a way to navigate through it. Here's how they'll do it! Read More . There are much more effective ways to control what your kids may be doing online, and you don’t need a PhD in computer science to do it. Following this simple guide will allow you to regain control of what’s going on within your home network. The rise of hacking movements like Anonymous, and countless movies and TV shows that glorify computer hacking, gave rise to the popularity of “hacking” among children and teens. For kids who’ve been nursed on iPads, this is especially true. The reality is that you don’t need advanced coding skills or a college degree in Computer Science to enter into the shadowy world of hacking. An example of this was 20-year-old Kenneth Currin Schuchman of Vancouver, Washington, who was responsible for developing a massive botnet that hacked over 500,000 internet routers across the world. Federal investigators tracked down the attack to what they called a “hacking amateur” known as “Nexus Zeta”, a frequent poster on hacker forums. They sized him up as an amateur due to the lack of hacking knowledge he displayed on those forums. Yet, Schuchman used existing hacker code and tools to build a malicious botnet the likes of which Federal investigators had only seen from more sophisticated hacker groups. If you don’t think your little budding hacker could ever get in this kind of trouble, consider that Schuchman was an unemployed, disabled 20-year-old living with his father. He had no formal computer training, and no resources to purchase advanced computer systems. He was working out of his bedroom and messing around on hacker forums, using basic hacker tools and code. Schuchman is now facing Federal charges and possibly prison time. My family often turns to me for technical advice. In one case a mother in the family reached out about her iPhone, SMS messaging, and even her bank accounts getting compromised by a hacker. She advised that she suspected one or more of her kids were interested in “hacking”. This fact raised alarm bells for a number of reasons. If your child is into hacking, your computers and devices could be compromised in the following ways. Having a child interested in hacking increases the odds of getting infected with a Trojan horse application. A Trojan horse is an application that’s disguised as a seemingly innocent application. This could be a simple hacking tool or a pirated movie or game downloaded off the dark web The Best Dark Web Websites You Won't Find on Google The Best Dark Web Websites You Won't Find on Google The dark web isn't for everyone, but it's worth exploring some parts of it. We've uncovered the best dark web websites for you. Read More . It’s a dangerous infection because it can create a backdoor on the computer, modify files, or steal sensitive information. And you don’t need sensitive information to be stored on the computer for it to be accessed. The Trojan can use keylogging tools to track your keystrokes when you type in a password on banking or credit card websites. 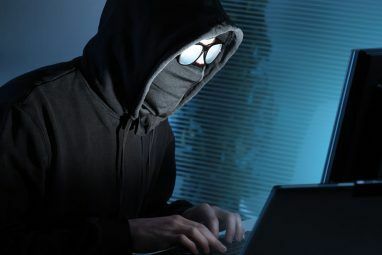 Kids who believe they’re “hackers” are often the first to dive into the dark web The Best Dark Web Websites You Won't Find on Google The Best Dark Web Websites You Won't Find on Google The dark web isn't for everyone, but it's worth exploring some parts of it. We've uncovered the best dark web websites for you. Read More . In most cases, this involves using the Tor network to download pirated music, movies, and more. Unfortunately, used the wrong way, it could also deliver malware or other viruses. If you’re accessing servers located within the Tor network itself, it’s relatively safe so long as the files that are downloaded are not infected themselves. Where the danger comes in is when the Tor network is used to access the regular internet. “Exit Nodes” are servers where Tor traffic is funneled out to the web, and there have been examples in the past of unscrupulous exit nodes 5 Ways to Stay Safe From Bad Tor Exit Nodes 5 Ways to Stay Safe From Bad Tor Exit Nodes Tor is one of the most powerful tools for protecting online privacy, but a recent experiment proved that this power comes with limitations. How does TOR work, and how can you stay safe using it? Read More threatening the security of that traffic. For kids, using the Tor network is just one aspect of feeling like a hacker. Unfortunately, they may not fully understand the ramifications of things like exit nodes or injected malicious code. And if your child is using the Tor network to access any of your accounts (like your Apple ID or Facebook account) using non-encrypted channels, then your own accounts could be compromised. 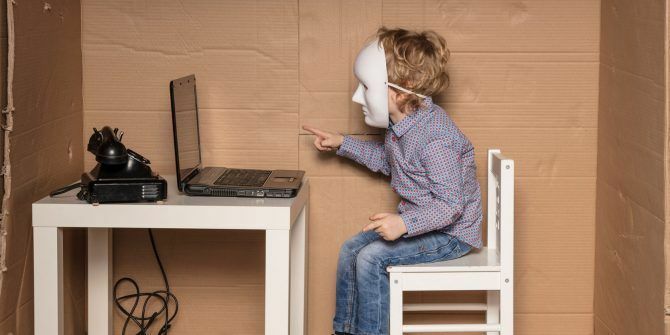 If you’ve discovered your kids are actively hacking, there are a few steps you need to take immediately to clean your devices and protect your network. The very first thing you need to do as a parent is take control of the internet. That means taking control of the router right at the source, where the internet comes into your home. On your own PC, open a CMD prompt and type: ipconfig. Now, open up a web browser and type that IP address into the URL field. You’ll see a login screen. The login ID is typically “admin”. If you don’t know the password then you’ve probably left your router wide open without any security. Unfortunately, this is a common mistake too many people make. If you can log in without typing in any password, then this is the case. Make sure to set an admin password no one can guess. When you first log into your router, you may see that your firewall is disabled, or set with low security. You should also look for any unusual devices on your network that you don’t recognize. Check with your kids to see what devices they’re using, and keep in mind that smart home devices will be listed here as well. Preferably, choose a security level that blocks dangerous peer-to-peer apps kids use to download pirated content, like BitTorrent. Your router may also have a “parental control” area where you can strictly limit access to specific websites or sites that contain keywords. You can also only allow router access from specific devices and nothing else. Most importantly, once you update your router password, do not provide it to your kids. They might have been able to bypass parental controls on their computer or smartphone, but they won’t be able to bypass your router security unless you’ve used a short password that’s easy to guess. For more, see our guide to securing your router. Most major wireless providers today offer the ability for parents to apply safeguards and other controls to how children access the internet. Just keep in mind that resourceful kids who are into hacking will likely try to jailbreak their iPhone or root their Android so they can do whatever they want. You can install apps on those phones to check if they’ve been compromised. Check them at least monthly. Unfortunately, if your kid has been actively downloading and running hacker tools on your network, or downloading pirated content, the safest approach is to start fresh. This is especially important if you suspect any device on your network has been infected. This won’t be easy, but it’s the best insurance that your household will be clean of all Trojan horses and other malware. Before you do any of these steps, make sure to back up important documents, files, images, and video to something like an external hard drive. While this may seem like using a sledgehammer to kill a fly, it’s necessary. From experience, I can assure you that it’s very difficult to know which device compromised your banking credentials or credit card account. Cleaning up all devices is the only way to eradicate a particularly determined hacker from your life forever. Once your router is locked down, household device activity is controlled, and all of your devices are clean, it’s time to reset all of your account passwords. You can only do this step after the cleanup. If any keylogger software was running on any of the devices prior to cleaning, the hacker would just recapture the new passwords again. Make a list of all accounts you use, including accounts that have your credit card or banking information stored. Once you’ve finished all of your password resets, your entire household should be eradicated of the infection. The only way to maintain a household free from the threat of hackers is to follow a strict set of security protocols. Hold your kids responsible for these same rules. If your kids break these rules, take away their devices to show that you’re serious. While these measures may seem dramatic, the effects of malware or Trojan software leading to a stolen identity and money getting taken from your bank account are much more dramatic. Don’t wait until you become a victim. 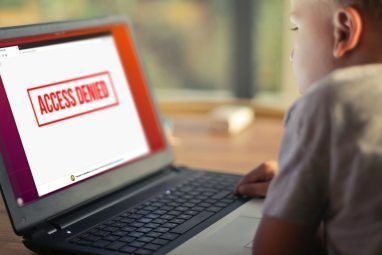 Talk to your kids about what can happen when they download infected pirated content from peer-to-peer networks, or use hacking tools that can’t be trusted. Turn your child’s interest in hacking into a productive interest in computers and technology. Encourage their interest in computer security and cryptography, but make sure they understand the inherent dangers of hacking. And make sure they understand the dangers of downloading pirated games 5 Real Security Dangers of Downloading Pirated Games 5 Real Security Dangers of Downloading Pirated Games Video game piracy is a serious matter. Even if you have no moral qualm with it, these five undeniable security risks should deter you from taking a chance. Read More , movies, and other content. Explore more about: Hacking, Parental Control. I'll take my chances on allowing my kid to explore his "hacking" skills lol. Lame fear mongering clickbait article. Step 5: Praise your kid for learning a valuable skill. Hacking skills are very valuable in life. This is insane, no child would hack into Apple or any major database like the Pentagon. To do this would be A. ingenious, and B. almost impossible. Not to say that it has never been done, it has many times, but your child must be a real kind of genius to hack into any major tech company using only what they lear It should also be crazy to give any child any form of information regarding your own or other's credit card information. There are also two types of hackers; white hat and black hat. White hat hackers hack LEGALLY and usually to protect their anonymity online and programming stuff such as websites and computers. The US government and companies often use and partner with white hat hackers to test firewalls and find people. Black hat hackers hack ILLEGALLY and often do it for financial compensation or personal reasons. Hacking is also not something that a kid is just born with or learns out of the blue, hacking takes a lot of time and practice. To be able to get to a level were you child poses any threat to the security of your family could take years. If your child is able to do any of this at a very young age, he may very well be a savant in the field of computer programming. If not and your kid is twenty years old when they start doing real damage, then your kid is most definitely able to make their own decisions and deal with the consequences.